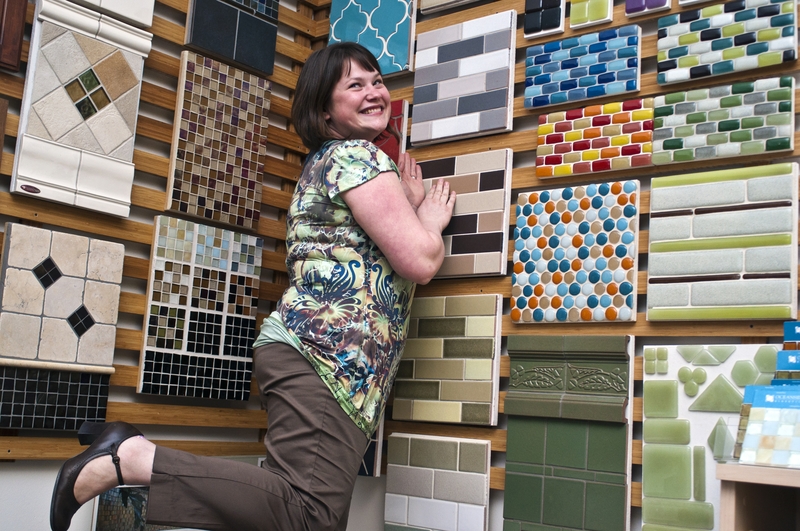 Green Home Experts is hiring a Showroom Sales Associate with experience in retail and/or interior design or construction management. This position is for 10-20 hours per week. This employee must be self-motivated, enjoy sales, and strive for excellence. In this fast- paced business, the right candidate must be able to think creatively and critically, handle multiple tasks and clients at once, and contribute to a team atmosphere. –Following up with vendor regarding delivery dates, credit terms, etc. The showroom sales associate must be able to lift 40+ lbs., stand for long periods of time, and be proficient in point of sale software, Microsoft Office and Adobe Creative Suite. To be considered for an interview, please send your resume and compensation history to gogreen@ghexperts.com. Tomatoes: Never store tomatoes in the refrigerator. To increase the life span, store tomatoes upside down in a dark area of your kitchen. This will extend the life of your tomatoes by 4 – 5 days and ensure that your tomatoes taste vine fresh! Sweet Corn: Fresh picked sweet corn should be placed in a brown damp paper bag with the husk and silk still on the corn. Sprinkle a few drops of water on the inside of the bag, and then lightly sprinkle a few drops of water on the outside of the bag. Place sweet corn inside the bag and keep in the refrigerator. Leafy Lettuce: Several varieties of leafy lettuce, Boston, Red Leaf, Green Leaf and even Kale can be rinsed in cool water, leaves separated from the core, then place leaves on a paper towel, roll the leaves in the paper towel and place in a zip lock bag. Place the zip-lock bag in the refrigerator crisping drawer, this will extend the life of the lettuce for up to 5 days! Maria, Queen Bee of Green Home Experts, talks about using herbs as natural remedies. Maria Onesto Moran, Queen Bee of Green Home Experts, talks to Fox’s Good Day Chicago about using herbs for natural remedies. Head over to our website, www.ghexperts.com, and click on August in our Events section. There you’ll see the full calendar of tomato canning classes that we’re teaching. Sign up with a friend, and give yourselves the gift of canning wisdom for the rest of your life! It’s been seven months since we opened in our new location. The stock market has been way up and way down, global economic crises and slow jobs growth continue to plague us, and now it’s hotter than hell outside! Is anyone else getting sick of all this turmoil? Election years historically are bad years for business because campaigns drudge up so much negativity. But I think it’s something different: hot weather, draught, gas prices, trouble getting a loan, selling your home, buying a home, etc. It’s exhausting! So I’m trying to stay focused on the positive. My 19 month-old son makes that easy. He’s as adorable as he is hilarious. Our family is healthy and close-knit. For the first time in three years, we’ve had no fires or floods at the house! Oh, and GHE continues to thrive while similar businesses shutter their doors. This past May the pioneer of green building supply in Chicago, Green Depot (formerly Greenmaker Supply) closed their doors after almost seven years. In a sweeping move, Green Depot, headquartered in New York, closed 10 of their 13 stores across the nation. Shortly after Green Depot closed I got word that Healthy Green Goods in Evanston will be closing next month. These are two big pills to swallow. Surely The Great Recession and housing crisis are at play here. But what else can it be? Why couldn’t these businesses make the cut in Evanston and Chicago, while GHE is working in Oak Park? I know how hard it is to run a small business, and the owners of the other stores are hard-working, smart folks. And I know they had loyal customers like we do. Well, here we are. Suddenly we find ourselves as the only company in Illinois that deals exclusively in eco-friendly building and home supplies. Frankly, we’re the only company of our kind in the Midwest because of our eco-garden center. There’s not much I can say about it other than THANKS! In our quest to continuously improve, we have a few changes on the horizon. Every week we are adding more value and content to our website, ghexperts.com. We are looking for a local supplier of pumpkins, straw and corn for the garden center this fall. Mums and fall flowers are already ordered! We have already expanded–and will continue to grow–our selection of sustainable building materials. Soon all of our non-toxic, recycled and reusable school and lunch supplies will be on the showroom floor. Marisa McClellan, author of Food in Jars and foodinjars.com, will be coming to GHE on August 26th for a canning workshop and book signing. Well, those changes will take us through the next 30 days! Do you have a question, product suggestion, complaint or compliment that you’d like to share? Call me at 708-660-1443 or email me at maria@ghexperts.com. I’d love to hear any feed back from you since after all, we’re not much without you! 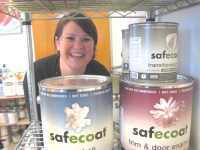 Did you know I sold paint from my house before GHE opened? Oh new showroom, how I love thee! 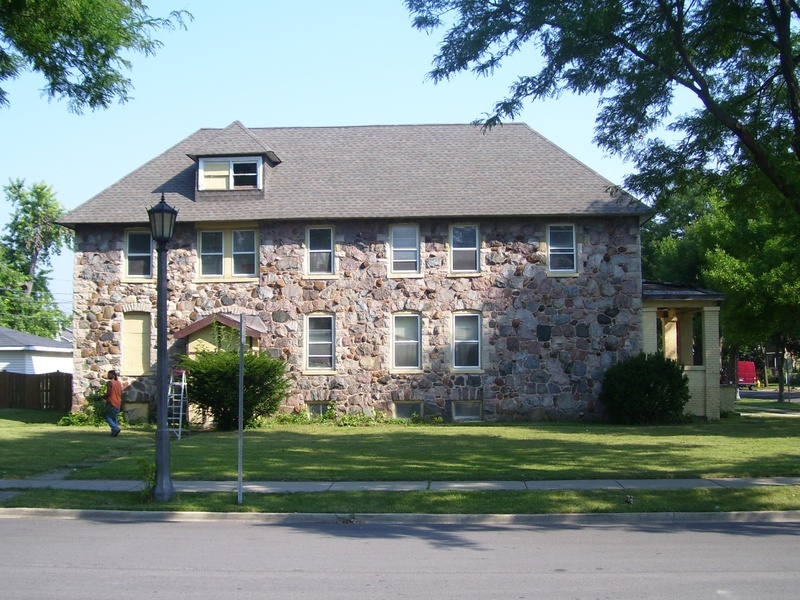 Last month I had the pleasure of touring the CornerStone House in LaGrange, IL. There are a lot of reasons I was excited to see the home–my colleagues Jason LaFleur and Brandon Weiss were part of the project; and my husband grew up just a few blocks from there! Owner/architect Regina McClinton truly put her heart and soul into this project. What I loved most about it is that, even after the home was stripped down to its studs and completely remodeled, the building still fits well into the neighborhood. It’s not glitzy or new age. In fact, it’s rather old school. Rain gardens and native plants surround the home on the exterior. A highly efficient furnace, insulation and windows keep the house comfortable. All of the windows provide amazing daylighting. Low VOC paint and construction materials ensure the safety of its inhabitants. The woodwork and reclaimed materials are a beautiful nod to the original home and a smart reduction of construction waste. The kitchen’s long countertops make the area inviting for guests. And I swear the walk-in closet in the master suite is bigger than most apartments I’ve lived in! Congratulations, Brandon and Regina, on such a successful project! Click here for more photos and information about the process.